Yet again Platinum Hair Extensions is raising the bar with its newest launch of “Platinum Prestige” hair extensions, available in Platinum’s Grafton Street HQ and through selected salons nationwide. 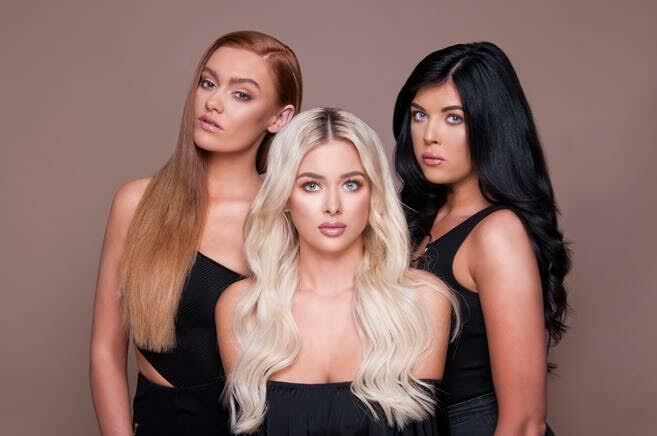 Less than five years after launching Platinum has secured a status of one of the most respected providers of top quality hair extensions in Ireland with an adoring army of models and beauty influencers including Lauren Bejaoui, Terrie McEvoy, ‘DramaticMac’ Aisling Murray, Tara O’Farrell, Emily Rochford, Grace Mongey, Andrea Rooney and many more. The totally natural and undetectable look of Platinum’s new Prestige Hair Extensions along with their unmatched luxurious feel is a real ′quantum leap’ in the world of hair extensions. Incorporating only the finest luxury Italian, pre-bonded human hair, these voluminous strands come in 22 inch lengths and are available in 27 different rich and opulent hair colour shades. With a dynamic team of professionally trained staff who are all experienced in extensions for all different hair types, Platinum offers a comprehensive service menu ensuring hair is matched perfectly to your hair extensions, haircuts for a seamlessly blended finish. Clients can be rest assured that their Platinum Prestige hair extensions won’t cause common hair extension problems, such as matting, dullness, and breakage. So what are you waiting for – treat your hair to luscious volume & length this AW16 and book in among the A-list to have your tresses lengthened and thickened while you relax! Platinum hair extensions are stocked in The Hive, Dylan Bradshaw, Zeba, Robert Chambers and other leading hair salons nationwide. Platinum Prestige Hair extension prices start from €299.